Lloyd Mats have proudly been made in America since 1978. We incorporated in 1974, making specialty carpet products and tapestries. The manufacturing of custom fit floor and cargo mats for the automotive aftermarket began in 1978. 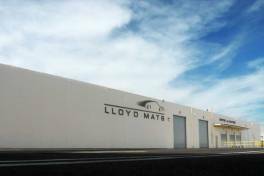 Lloyd Mats became an employee-owned company in 1999, when it was purchased from founder Lloyd Levine. As owners, every employee is committed to building the finest quality products and providing the highest level of service in the automotive aftermarket. 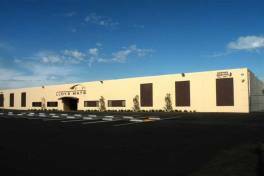 Our state-of-the-art production facility in Northridge, California was designed and equipped specifically to produce the high quality car, truck and SUV floor mats for which we’re known. Production techniques have been developed expressly for the purpose of building our diverse variety of custom fit automotive floor mat products. Car, Truck and SUV Floor mats are all we do. You won’t find car covers, seat covers, dash covers or anything else to distract us from the commitment to design and build great quality automotive floor mats. Lloyd Mats was the first and still the only all makes and models mat manufacturer to equip all products with safety anchoring devices. We developed embroidery and emblem techniques that ensure durability and variety of design offerings. We were the first to use advanced computerized cutting and digital pattern techniques to guarantee precise consistent fit. A long history has allowed Lloyd Mats to develop the most complete library of over 12,000 vehicle- specific patterns, as well as the extensive vehicle knowledge so important to building great and accurate automotive vehicle floor mats. Information like safety anchoring device type and location, seating configuration, interior colors and more is gathered over time and nearly impossible to compile well after the fact. That’s why Lloyd Mats offers more colors, logos, vehicle fitments and product types than any other mat company. 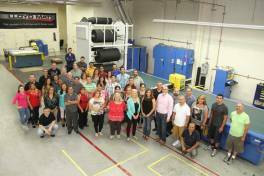 Our commitment is to produce the finest automobile floor mat products through innovation, superior materials and production techniques and provide our customers with the highest level of style, fit and quality.